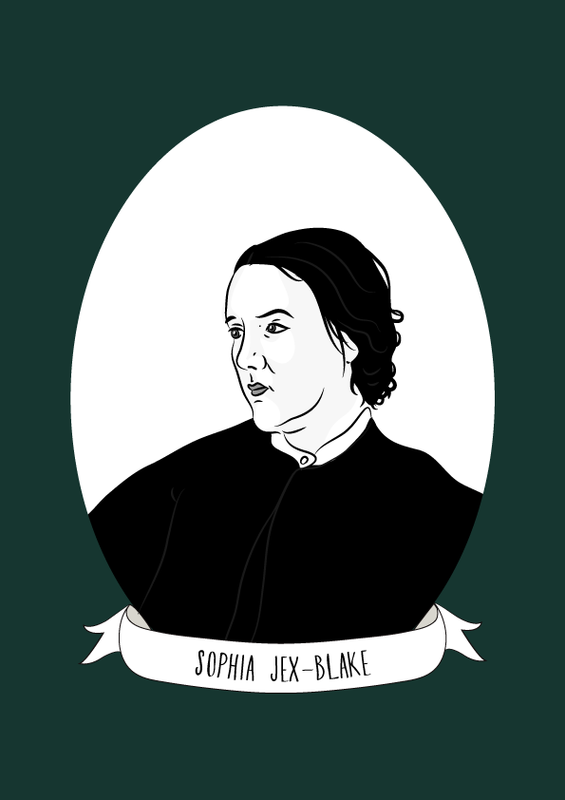 Sophia Jex-Blake was an English physician and feminist who led the Edinburgh Seven, the first women to matriculate at a British university. Jex-Blake was dissuaded from pursing an education by her parents, who did not believe that women were entitled to equal education. She eventually managed to attend Queen’s College, where she impressed the faculty so much that she was asked to teach mathematics while finishing her education. Her parents only agreed to this on the condition that she not take a salary, as they did not believe middle-class women should work. During this time, Jex-Blake befriended a group of feminists including Elizabeth Garrett Anderson who all went on to fight for women’s suffrage. After leaving Queen’s College, she travelled to the United States where she met Dr. Lucy Sewell. Sewell inspired her to change her career aspirations from teacher, to doctor. She managed to convince The University of Edinburgh to admit her, although she faced continued discrimination from male students. Although Jex-Blake passed her exams, The British Medical Association refused to register her or any of her fellow women graduates as doctors. After ongoing support from MP Russell Gurney and publicity surrounding her fight to become a doctor, Jex-Blake was finally able to qualify as Licentiate of the King’s and Queen’s College of Physicians of Ireland in 1877. A year later, she established her own medical practice and a dispensary for women in poverty which later became Edinburgh Hospital and Dispensary for Women. In 1887, Jex-Blake and Elizabeth Garrett Anderson established the Edinburgh School of Medicine for Women. During this time, she became involved in the local Women’s Suffrage Society. She continued to campaign for women’s suffrage after her retirement, but unfortunately died before women were given the vote.